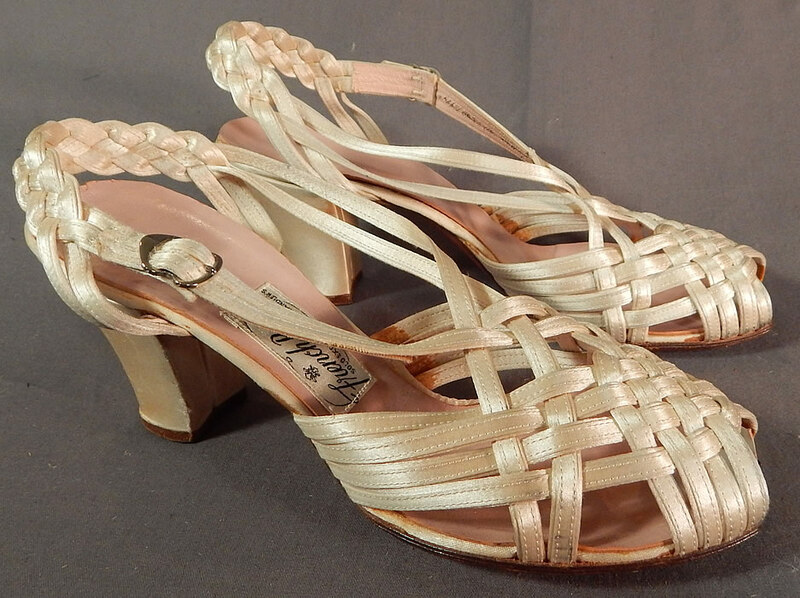 This pair of vintage Chandlers French Room silk braided woven strap bridal wedding shoes date from the 1940s. They are made of an off white cream color silk satin straps woven and braided creating a lattice work decorative design. 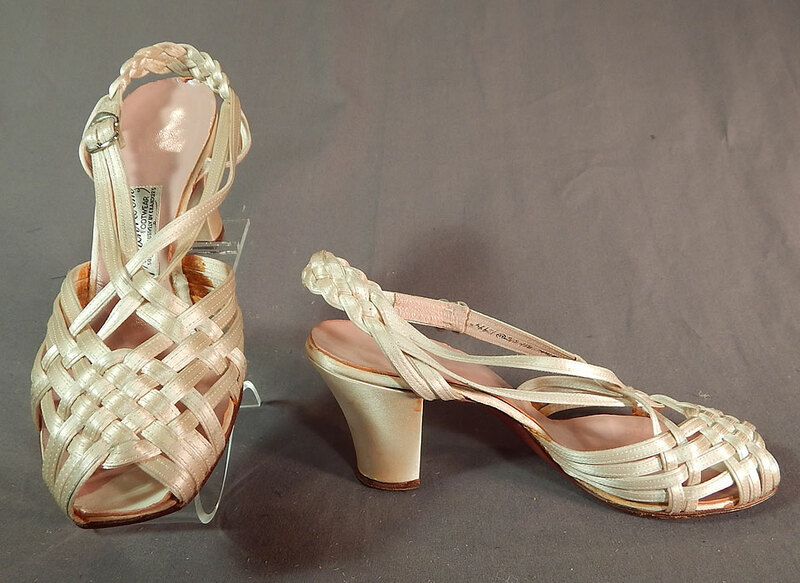 These beautiful bridal wedding shoes have a sheer sandal style with open toes, peekaboo side openings, an adjustable silver buckle side strap closure, braided back strap and satin covered cube high heels. 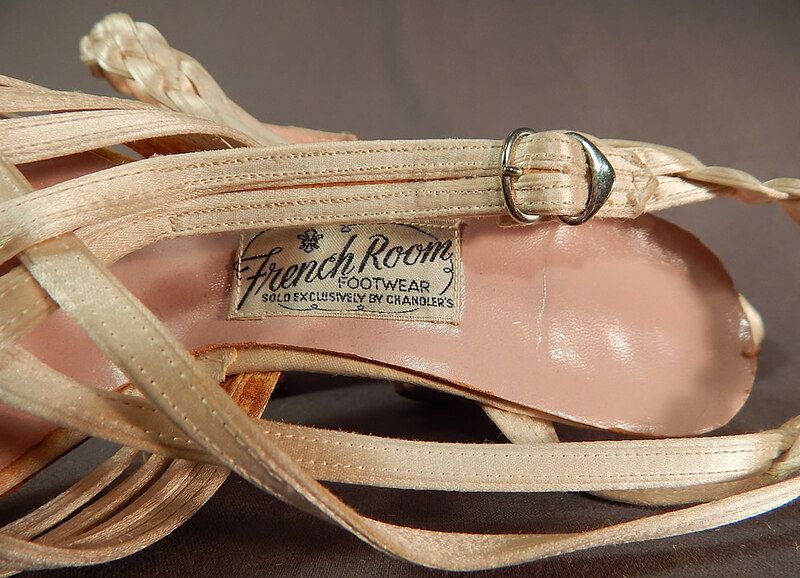 There is a "French Room Footwear Sold Exclusively By Chandler's" label inside on the pink insoles. 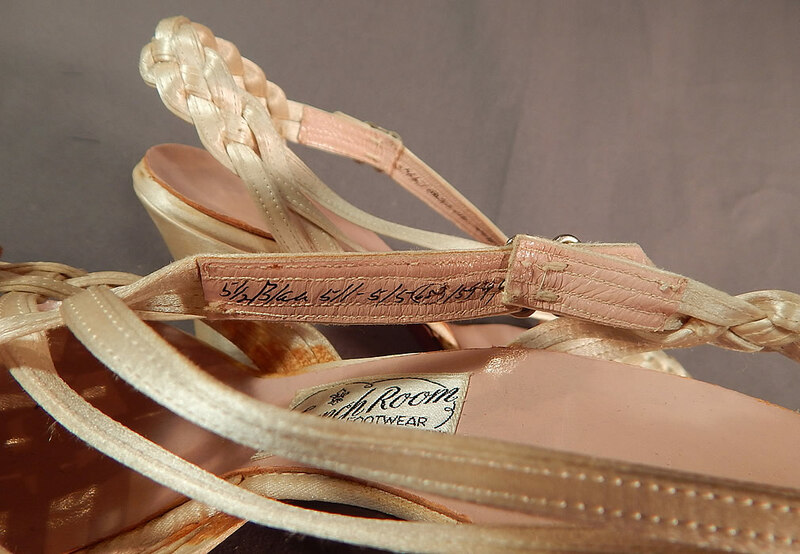 The shoes measure 9 inches long, 3 inches wide, with 2 inch high heels and are stamped inside a size 5 1/2 B/AA. They are in good condition and look to have been barely worn. 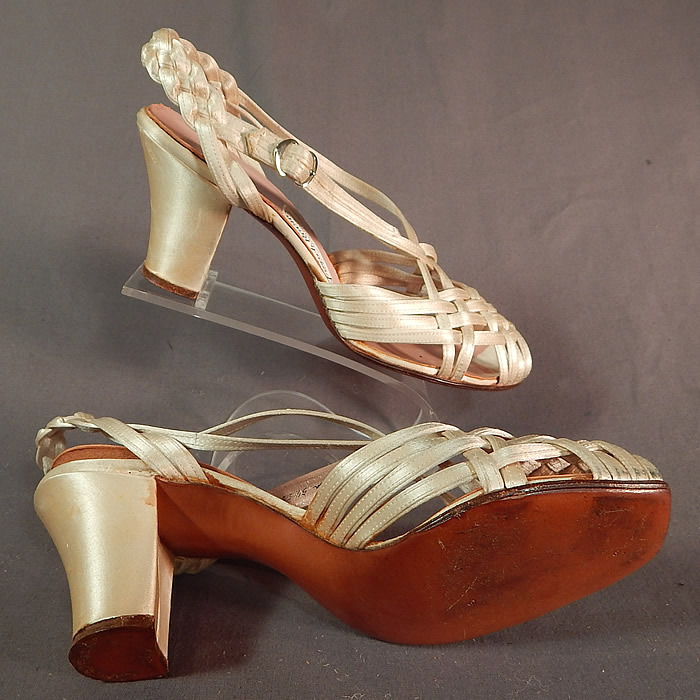 These are truly a wonderful piece of wearable shoe art!